Vintage French from the 1940's. 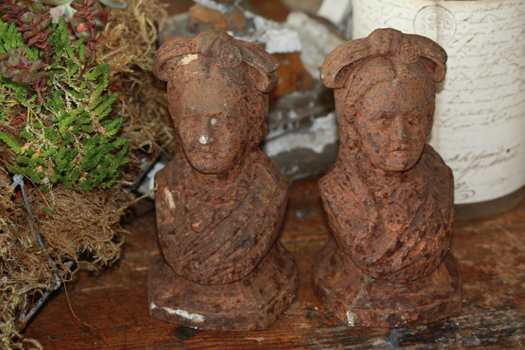 Old finials, which we think look amazing as part of a garden vignette. Cast iron at 5-7" H. Sold individually.